Small volumes of anti-TAPBP antibody vial(s) may occasionally become entrapped in the seal of the product vial during shipment and storage. If necessary, briefly centrifuge the vial on a tabletop centrifuge to dislodge any liquid in the container`s cap. Certain products may require to ship with dry ice and additional dry ice fee may apply. This gene encodes a transmembrane glycoprotein which mediates interaction between newly assembled major histocompatibility complex (MHC) class I molecules and the transporter associated with antigen processing (TAP), which is required for the transport of antigenic peptides across the endoplasmic reticulum membrane. This interaction is essential for optimal peptide loading on the MHC class I molecule. Up to four complexes of MHC class I and this protein may be bound to a single TAP molecule. This protein contains a C-terminal double-lysine motif (KKKAE) known to maintain membrane proteins in the endoplasmic reticulum. This gene lies within the major histocompatibility complex on chromosome 6. Alternative splicing results in three transcript variants encoding different isoforms. 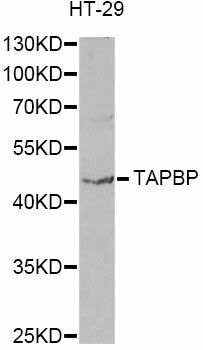 Western blot analysis of extracts of HT-29 cells, using TAPBP antibody at 1:1000 dilution. 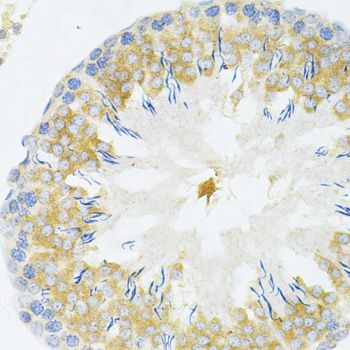 Immunohistochemistry of paraffin-embedded human stomach using TAPBP Antibody at dilution of 1:200 (40x lens). 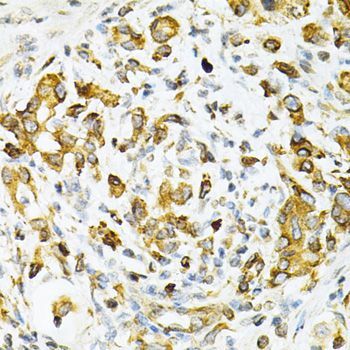 Immunohistochemistry of paraffin-embedded rat testis using TAPBP Antibody at dilution of 1:200 (40x lens). 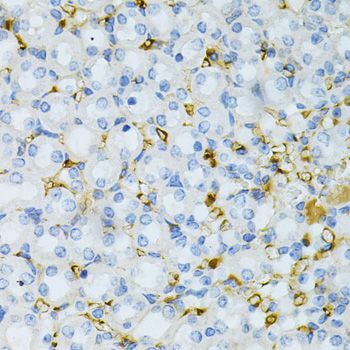 Immunohistochemistry of paraffin-embedded human gastric cancer using TAPBP Antibody at dilution of 1:200 (40x lens). 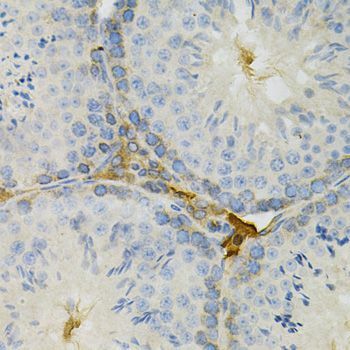 Immunohistochemistry of paraffin-embedded mouse testis using TAPBP Antibody at dilution of 1:200 (40x lens). 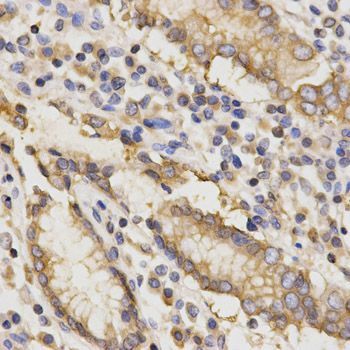 Immunohistochemistry of paraffin-embedded mouse kidney using TAPBP Antibody at dilution of 1:200 (40x lens). NCBI/Uniprot data below describe general gene information for TAPBP. It may not necessarily be applicable to this product. TAPBP: Involved in the association of MHC class I with transporter associated with antigen processing (TAP) and in the assembly of MHC class I with peptide (peptide loading). 3 isoforms of the human protein are produced by alternative splicing. 1. Modified TAPBP gene function may contribute to the development of refractory chronic rhinosinusitis via reduction of circulating CD8 lymphocytes.